A Nubia with Snapdragon 845 processor goes through AnTuTu, Nubia Z19? Nubia will be present at this MWC 2018 in Barcelona, which will begin within two weekends. And although it seems that they will teach us the Nubia Z17s that have premiered this last year, today we have known who would be his successor. A Nubian mobile with Snapdragon 845 processor that has gone through the AnTuTu test. If something is characterized Nubia is to have a photographic section of the best that exist in the market. And the Nubia Z17S boasts of this thanks to Neovision 7.0 technology. A new Nubian mobile with Snapdragon 845 processor. 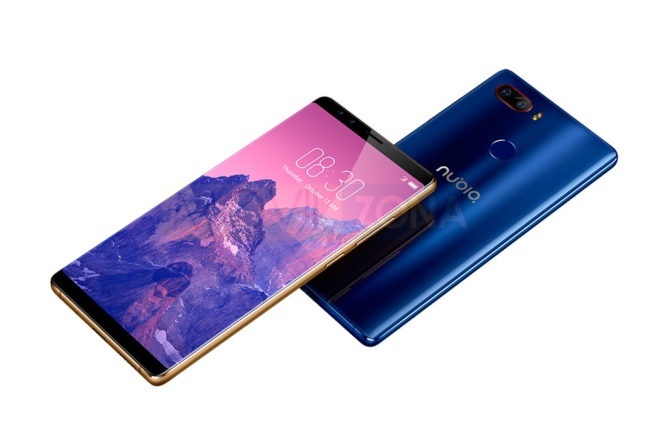 The nubia Z19? 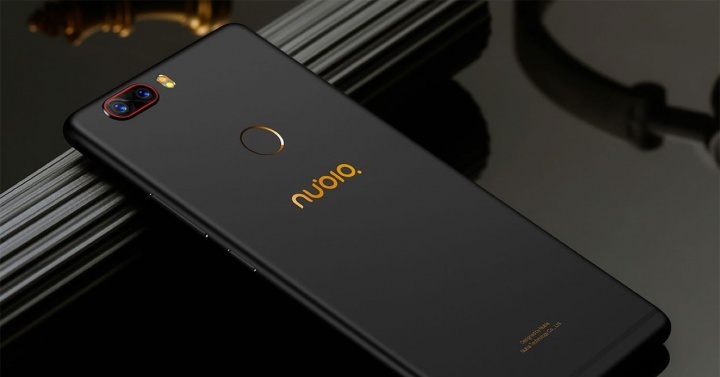 Nubia launched two flagships last year, something that more and more manufacturers are getting used to, both the Nubia Z17, which was never sold in India, such as the Nubia Z17s, which is going to be distributed finally, and which we will see in the MWC 2018. Well, for AnTuTu has been allowed to see a new Nubia mobile, specifically with the NX606J model. This model could be perfectly rumored Nubian Z19, mostly because of the cutting-edge specifications it has shown us. In this step, AnTuTu has revealed the most outstanding feature Snapdragon 845 processor, which unequivocally places this terminal as the top of the Chinese firm for this year. 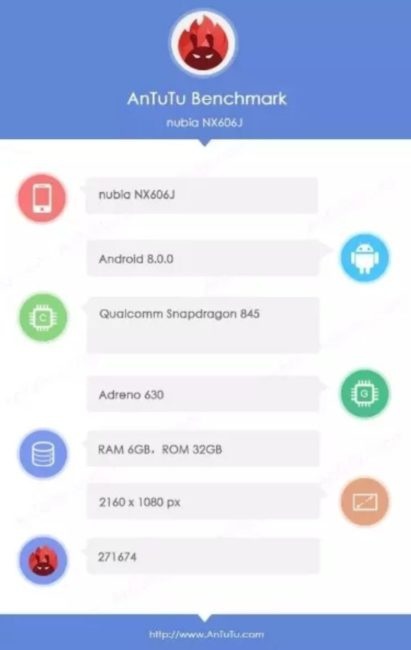 In addition to the Snapdragon 845 processor and the Andreno 630 GPU, we can also see that it has 6GB of RAM memory, an amount already quite common among Chinese phones, and more if we consider that the Nubia Z17 debuted with nothing less than 8GB of RAM memory, being the first on the market with this figure. The internal storage would be 32GB, while the screen reveals again an aspect ratio of 18: 9, thanks to the Full HD + resolution that is shown in the performance test, of 2160 × 1080 pixels. In addition, the software would be Android 8.0 Oreo, the latest version of the operating system, which could even grow to 8.1 at the time of its release. Finally, we have also seen the AnTuTu score of the phone, which exceeds 270,000 points, undoubtedly one of the highest we have seen on a mobile in this performance test.